September 2014 ~ The Blawg, Y'all. Happy Fall! I'm so thankful for the upcoming season! a lower electricity bill! can I get an amen?! We are headed to Chattanooga after work today for a fun, fall vacation with my parents. Sooooo excited to explore a fun new town and take in the start of Autumn! We've had so many "happies" that I've been meaning to share on here for awhile now. I am still unsure to where August and the beginning of September decided to run. The beginning of our summer seemed to move at a nice slow pace, and the fall (despite it still being 94 degrees here) is moving like a freight train- not that that surprises me in the least. I am sure this train is only going to continue to gain speed, so I hope to relish every fun memory we are making, taking advantage of all the opportunities we have been given. Towards the end of last month, I was able to fly to the Carolinas for a quick trip to visit my parents and gather with long-time friends at a beautifully southern engagement party. 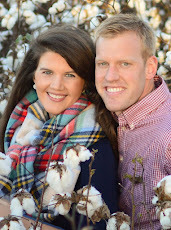 We love these two and are so excited to be a part of their wedding next summer! While I was gone, Andrew enjoyed a weekend of outdoor fun. Scout girl had a great time too, as she loves swimming and roaming free (while still staying close to her peeps, thankfully). But obviously she missed me due to the amount of smiles and snuggles that erupted upon my return to the homestead. At least I like to believe that. Love this stinker so much. Over labor day weekend we ventured to Nashville with some Air Force friends. We explored the famous Broadway area and then celebrated at the wedding of some new, precious friends. The crazy rain didn't keep away the fun we had! The sweet couple are now both in Columbus and living downtown (where ALL the cool kids live. cough cough) in an adorable loft apartment. We had a great time hosting them for dinner last night and I'm looking forward to some fun times with them in the future. The first weekend of this month we traveled (together this time :)) back to the best state in the union. This time to stay with one of our favorite couples in Greenville and to go to the first Clemson home game. We were able to reunite with lots of friends, and even score (amazing) free tickets. So grateful! It was hot that day, but I had forgotten how wonderful blue ridge mountain breezes feel...bliss. On Saturday, I helped with some last-minute details for a wedding here in town. It was beautiful! So many sweet moments to capture! So many reasons to be grateful. What fun memories have y'all be making? Recently at a cookout with Andrew's work friends, I met and chatted with a fellow pilot wife. She was very nice and it was fun talking with her. After awhile, she asked if I was going to an upcoming "spouse club" function to which I said no. I then felt the need to immediately explain that I was unable to make most of the get-togethers because they're held when I am at my job. I even threw in the fact that I try to make the evening ones, because they are a fun way to meet new people. Why I can't just be ok with a boundary of a simple "no" is still a situation for me. I'm trying! She then looked at me and said "oh yea that's right, I do hear that you work a lot." I know that this girl meant no offense, and I am still unsure how she heard I worked a lot, but needless to say, this is not the first time my working full-time has been met with a little...tension. I am normally not sensitive to these things, but that night I walked away feeling confused and weird and honestly, a little ashamed like I was doing something wrong. I wanted to say "Yes, I work, but I mean it's no big deal, I am not that important." I quickly took a harmless comment to another level, feeling like something needed to be added to get me "off the hook". Such "needed" justification is downgrading and well it is just DUMB. This hasn't really been an issue with me until lately, because of all of the ladies over the course of my life who have taught me, encouraged me, loved me, and inspired me, most work in some capacity. Ok, I'll say it, I get a little excited that I have access to such a plethora of wisdom- nurses, marketing directors, accountants, teachers, consultants, entrepreneurs, office managers, attorneys- some single, some married, some mamas. The women in my life that I really look up to have always encouraged my working and shown me what it looks like to balance family and jobs and everything else on their plates. Am I suggesting that it is wrong not to work? No way! Girlfriend, do what is best for you and your peeps. However, I have learned since the ripe, wise (ha) age of 16, that working can be a GREAT thing. So fellow ladies, let's encourage one another in our "outside of the home" endeavors, if that is what they so choose. So while I may have been thrown a little off by this one gal's (unintentional, I am sure) statement, I know that working is the best thing for me, and I am honored and grateful to work. Some days when work is stressful or I haven't seemed to do a thing right that day, I come home and journal why I am grateful to be working. I'd love to share some of my thoughts with you and maybe encourage you if you're working and thinking similar things like, "What's it worth? "or "Am I really, truly making a difference?" Working gives me a sense of confidence. When I was younger, I lacked a lot of confidence. I was always scared of saying the wrong thing or disappointing others. I often hid my insecurities behind humor, an array of activities, and being around other people who did most of the talking. Laugh. ;) To this day I still have insecurities (who doesn't), but I love that at work I am thrown in to a situation (normally followed by some fear. maybe even some sweating.) and that I normally come out on top after some determination and a lot of grace. Sure, there are bumps along the way. I've also found that confidence grows through humility. There are days when I think, "Did I just fake my way through law school?" I don't have all the answers. I mess up often.Yet, I know with God's help, and with my not being afraid to ask others for help, I am able to get things accomplished for the betterment of others. I love that I can advocate for causes I believe in and see things happening (even if slowly). When I rely on his strength, not my own and trust him with the tasks before me, the end result is amazing. Working enables me to work with others towards a common goal. As an extrovert, I am given energy through meeting with others. I love being able to get together with a new person, learn their goals and objectives, and then work together to meet those objectives. I love being given a problem and helping solve it. Seeing the smile of a client who months ago was facing a terribly stressful, sometimes even painful, situation is one of the most rewarding experiences. Working helps me sleep better at night. At the end of the work day, I am tired, both mentally and physically. I tend to be a full-throttle type, filling my schedule and looking for tasks to tackle. Working helps me get out my energy. It helps me end the day with at least one (sometimes TINY) accomplishment. I sleep better at night literally because my wound-up energy has been released through work. Working gives me a salary to save towards the future. I will be candid here and say that we live off one salary in our home. It's just a goal we decided upon when we were first engaged and doing our premarital "budget homework", and that is what works for US (not everyone. no preaching here). I am so grateful to be taken care of by a hard-working provider! Yet, I love the opportunity to bring in another salary in case something were to happen with A or his job or who-knows-what. I love putting back a paycheck that I was able to earn to save for well, who knows? We could be saving for our future house, our children's college, an adoption, a special needs child, my leaving work to raise said future children full-time, another degree (NOT for this chick!! ), a business venture, an emergency. Or heck, we could end up giving it all away...we just don't know at this point. But I do know that my salary is God-given and he will direct us at the right time, and I am thankful he has given me a job with which we can save extra money for whatever the future may bring. Working gives me a salary to have fun with in the present. In the spirit of lightheartedness, I admit that it's also nice to be able to have a little spending moo-la as well. I love that I no longer have to say, "Happy Birthday, Andrew! Here's the present I bought for you...(with the money you had to work for)." YALL! Obviously there was nothing said aloud to that effect by either of us, but that just felt SO wrong last year! Laugh :) Despite our sharing of accounts, it's nice to be able to take some cash out of "my stash" to gift someone, to donate to a cause on our hearts, to travel, or...ya know, go to Target and Starbucks and other white girl delights without guilt. Working opens the door for me to share the gospel outside of my comfort zone. I recently listened to a podcast by a pastor in Texas. He shared that "Christian work" is not just done by those working directly with a church or a ministry. If you are working, and you love Jesus, that work is "Christian work" and has been given to you to be: Christian fulfilling (ex. "Lawyers take the God-given, raw materials of justice and put them in to laws and ensure such laws." Cool! ), Excellence pursuing (for the glory of God), Holiness reflecting (using the highest standards), Redemption displaying (not for our advancement, but for building others up), and Mission advancing (sharing Jesus). I really loved what he said at the end, "Evangelism is doing normal life with gospel intentionality." Do I go in to work spouting verses and singing the newest Hillsong jam aloud for everyone to hear? Do I put "Jesus loves you" on my letterhead? No. But I do pray that my boss, my clients, my colleagues, and any other human being walking through my door would see the love and grace of Jesus in my day-to-day work. Work gives me the opportunity to leave my house every morning and greet a face with gospel intentionality and love. I am not always the best at it, but I am given the opportunity, and for that I am thankful. I don't know what the future holds, but I know for now God has me in this season, the season of working. If you are working today and feeling down or you're having a hard time seeing God's purpose in your job (we all have those days, sister friend), please know you ARE making a difference and you are equipped to do great things where you've been placed! I am rootin' for ya. What about your work makes you grateful? 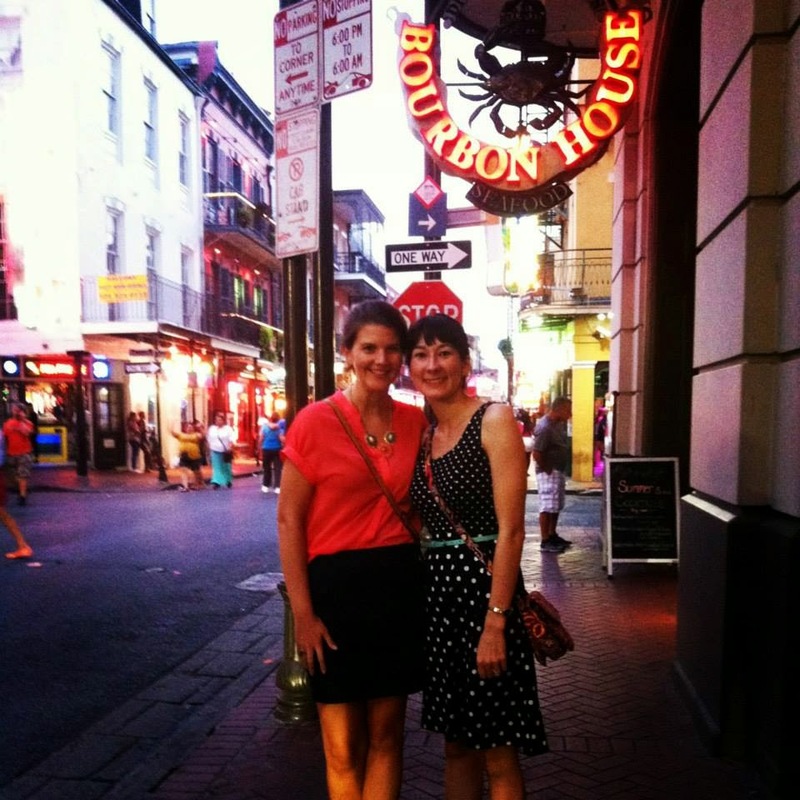 Rachel and me on our NOLA adventure. Miss this girl tons! Did everyone have a nice long weekend? I cannot believe that it is September. We had a great time at a wedding in Nashville and enjoyed the Monday off work yesterday! So hey. I was invited to do a blog hop by Rachel, my former neighbor and forever friend who I talk about (and MISS) so, so often. The blog hop is basically a big networking of bloggers, which we pass along on our blog sites. So today I will tell a little about Rachel as well as three other bloggers. I met Rachel when we first moved to Columbus, as she lived right next door. In the short months we were neighbors we became close friends and I am so glad that we met! She is an incredibly talented quilter and her blog is amazing. I love reading Quiltineering for a number of reasons- mainly to one, keep up with her adventures in the Air Force and two, to look at all of her beautiful projects! Check her out here. Thank you so much for featuring me Rachel and for being a life-long friend even through distance! You are such a joy! I'd also like to share some other great blogs written by some of my favorite women. Sweetpea Lifestyle blog by Ashley. Ashley is a beloved close friend and is the best little Southern party planner extraordinaire. I love reading her blog to find new recipes, party ideas, and organizational tips. It's also great to keep up with life in one of my favorite places, Asheville. :) Love you, AEB! I "met" Emma via the blogisphere during our first year of law school. I feel like I know her due to our mutual love for Mexican food, travel adventures, and You've Got Mail. It's been great to have an email life-line to another first year attorney. Her blog has amaaaazing photographs and I love reading about her fun times "up North". Laugh. ;) Emma, if I could send you a bouquet of newly-sharpened pencils, I would! This Wonderful Life by Stephanie. So now I'm supposed to feature what I have been "working on". As you know, this blog space does not really carry a specific theme. I am not a food blogger, or a lifestyle blogger, and I am most definitely not a fashion or photography blogger. ;) However, I would like to blog more consistently, sharing snippets of our life and specifically sharing what I am learning during these seasons of transitions in life and growth in my faith. What does that look like exactly? I am unsure, but I am excited to see my next steps in writing. Thanks for reading, y'all! Please go visit my friends and support their blogging efforts!